In building a law practice, small changes can have a big impact on your success. That is the driving principle behind a new monthly podcast being launched today by the practice management company Clio. This past month, we’ve made a few improvements to help you accomplish your daily tasks as efficiently as possible. We’re proud to bring you key updates to the way you view contacts in Clio, and to Clio’s Outlook Add-in for Office 365. 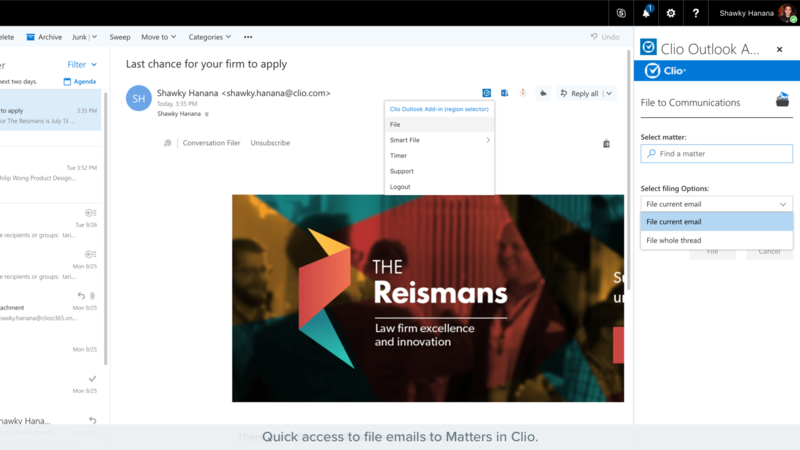 The cloud-based practice management platform Clio this week introduced an Outlook 365 add-in that makes it easier to associate emails in Outlook with matters in Clio. File emails with one click. Save emails, including attachments, from Outlook to a matter in Clio. What matters most to clients in choosing a lawyer? Most practicing lawyers will have an opinion about that, but even better than an opinion is hard-and-fast data. 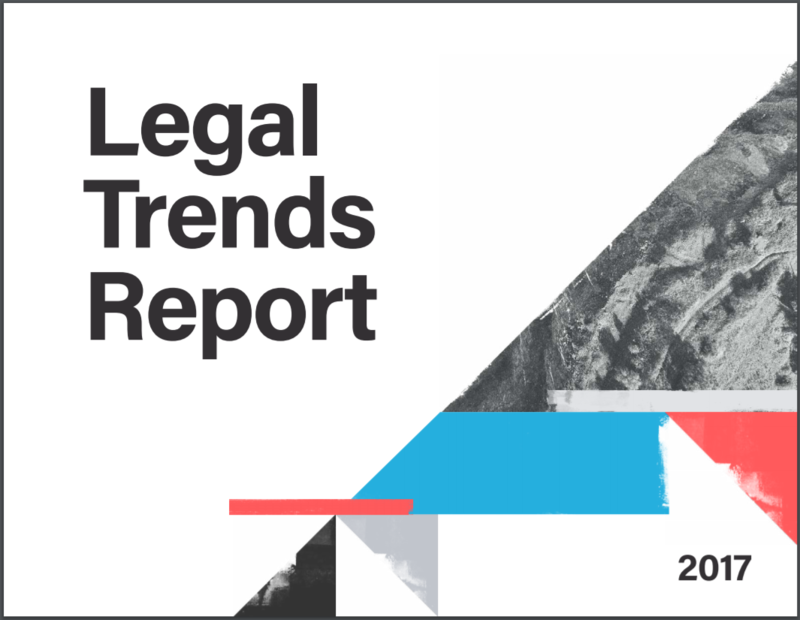 And that is what is provided in the 2017 Legal Trends Report, compiled by practice management company Clio.